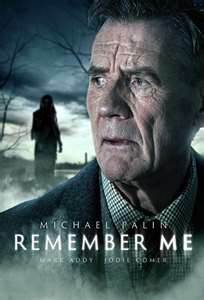 In this weeks second part of Remember Me we find Tom has disappeared from the hospital and no one seems to care except Hannah and Detective Rob Fairholme. Hannah is still having problems with her family, juggling between them and her job, the stress building up inside her as she struggles to keep it all together. Shirley, another carer is very disturbed at the care home knowing something isn’t quite right and walks out after doing a double shift with room 27’s alarm going off morning, noon and night. Hannah goes in to find the carpet soaked with water and a shell on the floor. She has a vision of someone drowning and is very frightened. 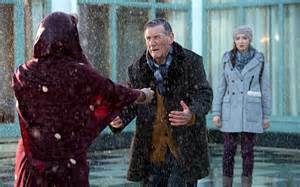 She seeks Fairholme’s help, telling him to go to Scarborough and he goes to see Tom’s neighbour, Roshana Salim who takes him into his house. As they both look through his stuff, a noise comes from upstairs in the attic and they both go up to investigate. Then Roshana hurriedly leaves slowly followed by Detective Fairholme. Hannah asks her brother’s teacher the significance of Scarborough Fair, giving him a copy to look at, who tells her it’s never-ending. Hannah is on a bus on her own and notices a passenger in front who is dripping wet. The passenger doesn’t turn. The other carer Shirley tells Hannah that there was a woman in the room with Alison, the latter of which was trying to push her way out through the window. It seems Tom was married very briefly until she died in an accident. Hannah is close to a breakdown and Detective Fairholme is very concerned. The next scene cuts to Tom’s house and quiet crying whilst the boy next door is having nightmares about an Indian woman who wants Tom back. Hannah’s brother hears something in his room whilst she dreams of the beach again. Her brother’s room is mess but as soon as she enters it is completely tidy much to his surprise and hers, but for different reasons. Roshana, Tom’s neighbour, gives Fairholme a torn picture of an Indian woman that her sons stole from his home. Hannah takes her brother to Scarborough to try and find Tom and goes to the beach with him. Fairholme goes back to the station to find Tom had letters from the Queen wishing him a happy birthday from 100 to 110. How old actually is Tom and is he being kept alive against his will? This episode was not as scary as the first but had its moments that left me looking around the room of my home. It was more about the background story of the Indian woman than about Tom who was hardly in it until the very last scenes. The tension built up nicely and revealed a few things, one about Tom’s age. But is the ghost of the Indian woman the killer or is there another in the shadows who is out to hurt them all? His Mother or his wife? Or someone else? The last part is next Sunday and I am sure there will be a few surprises in store for us. The acting and direction has been top rate and the scenes shot all were very dark and grim that fit nicely into place. I cannot wait for part 3.